One of the most loved natural attractions on the Sunshine Coast is the Great Sandy National Park, a breathtaking park that stretches over 56,000 hectares. 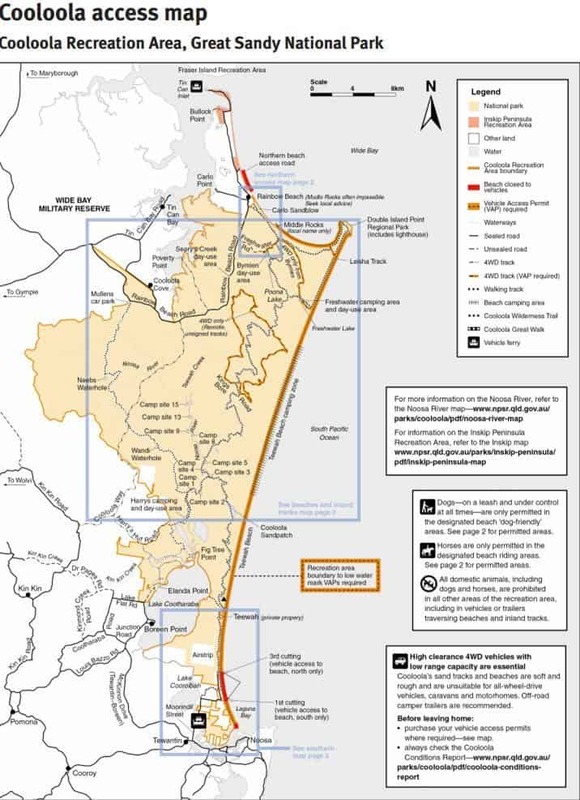 Great Sandy National Park is divided into two sections; the “Cooloola” section on the coast between Noosa Heads and Rainbow Beach and the “Fraser Island” section which encompasses almost all of Fraser Island, the world’s largest sand island. 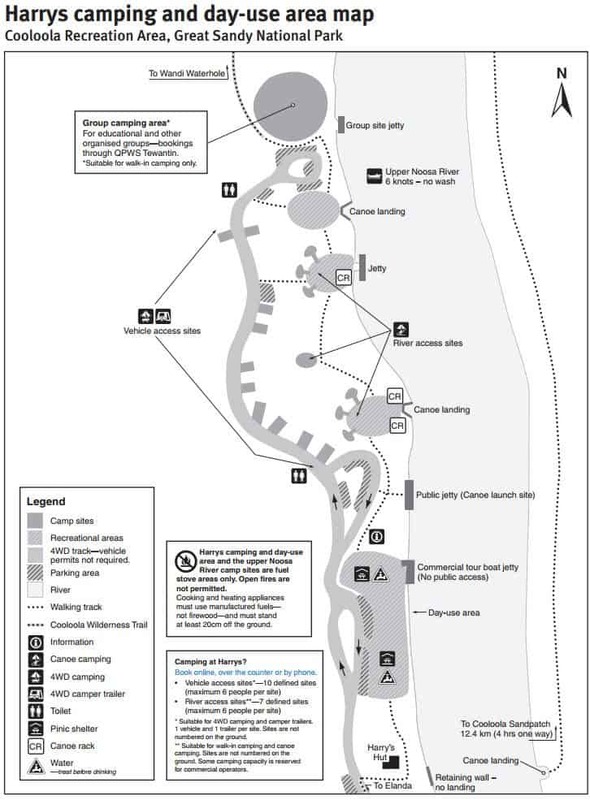 As Fraser Island is not within the Sunshine Coast, this page will detail the features of Cooloola. The national park is popular for its fascinating landscape and extensive beaches. High sand dunes, sweeping beaches, freshwater lakes, tall forests, paperbark swamps and wildflower heath are the main attraction at this beautiful national park. Thousands of visitors come here each year to relax and enjoy nature at its best. 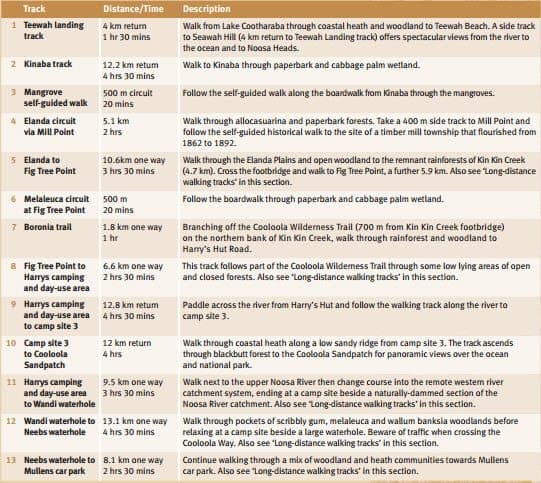 Cooloola has a number of lengthy walks including the Cooloola Wilderness Trail which has a distance of 47.9km one way which takes between 3-5 days to complete; and the Cooloola Great Walk which has a distance of 102kms one way which takes 5-6 days to complete. This walk should not be attempted without a topographic map. Shorter walks are: Seary’s Creek, 200m (return) and take 10mins; Poona Lake, 4.2km (return) and takes 1.5hrs; and Freshwater Lake Circuit, 4.7km (return) and takes 2 hours. See attached images for more information. 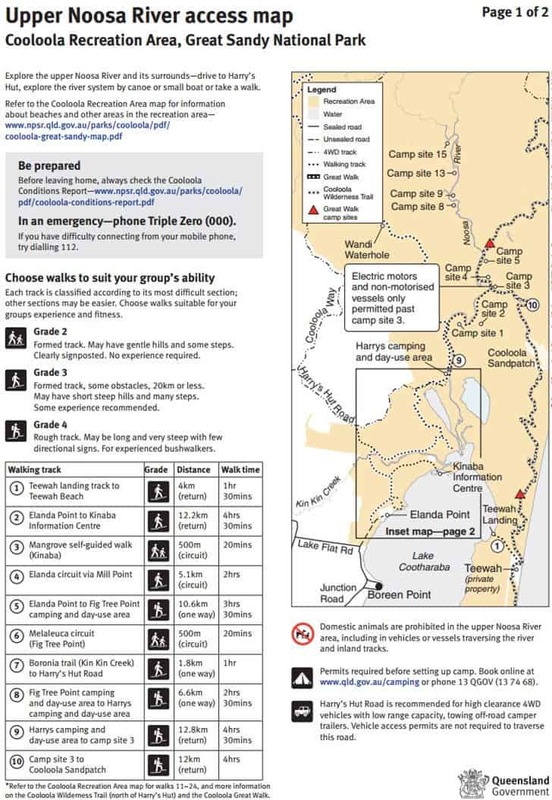 There are many camping options whilst in Cooloola, but please note that permits are required before setting up your camp and fees apply. 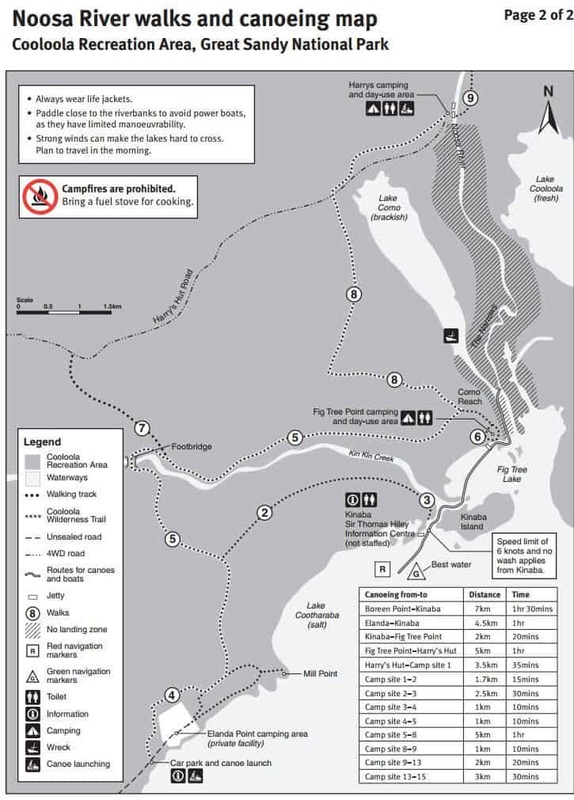 There are a number of locations: Teewah Beach camping area offers beach camping without formally defined sites; Freshwater camping area provides shady, sheltered sites set amongst scribbly gum woodland about 500m inland from the beach; Poverty Point camping area offers small, undeveloped coastal camping overlooking the tranquil, tidal waters of the Tin Can Inlet; Fig Tree Point camping area is set among open forests with some wet, closed forest types; plus many more. 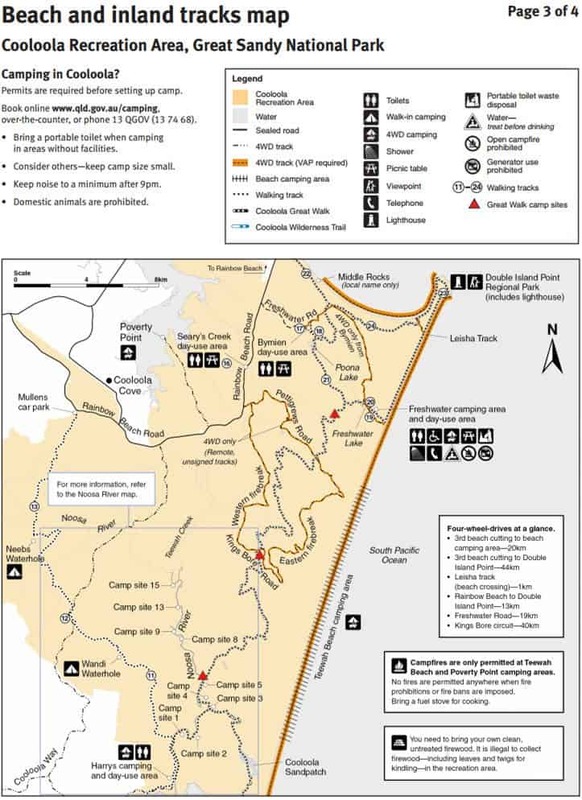 Please note that domestic animals are prohibited in the Great Sandy National Park. Is Freshwater Tent Camping Sites accessible with a normal 2 wheel drive vehicle? 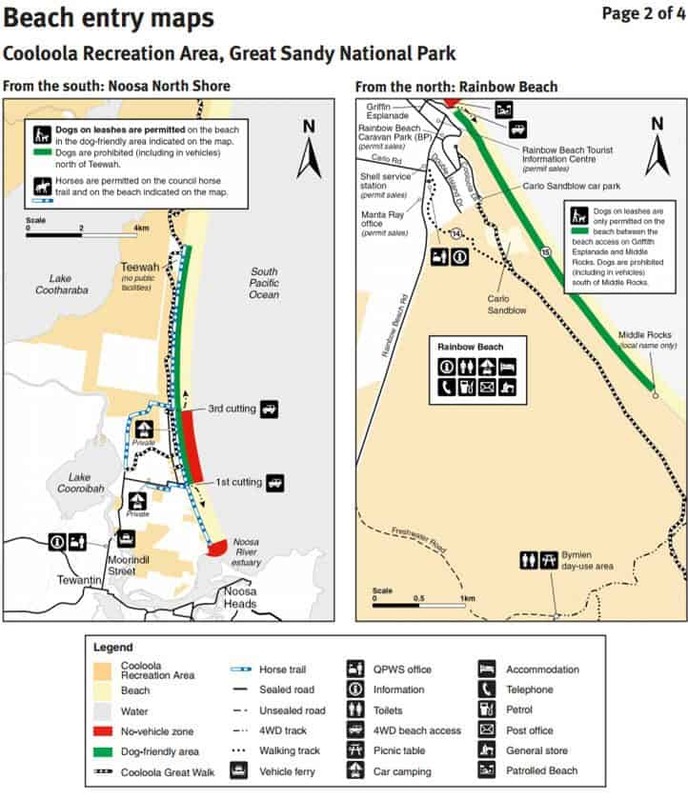 The camping area can be accessed by 4WDs only via Freshwater Road from Rainbow Beach Road or Teewah Beach. 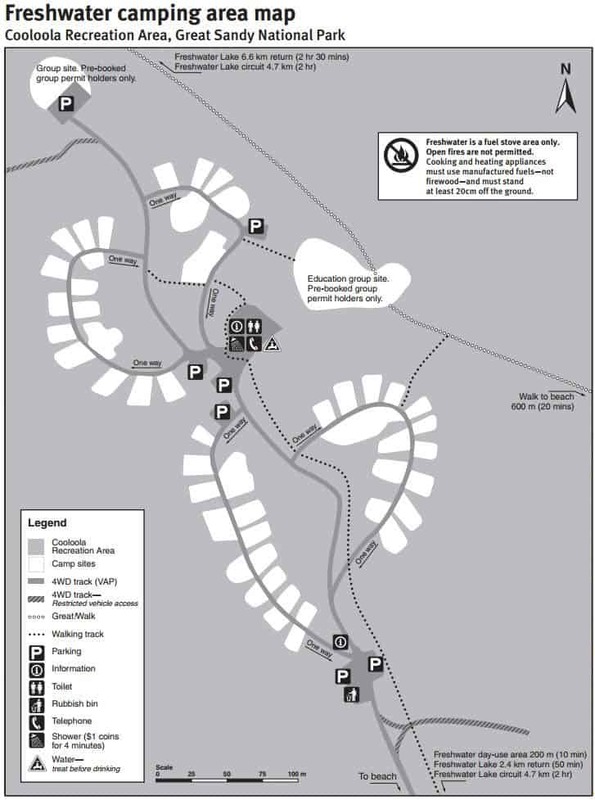 Vehicle access permits are required to access this camping area.